I love saving money, who doesn’t? However, I don’t DO coupons. I am a recovering coupon-aholic. A few years ago I went off the couponing deep end and I swore I would never go back. The problem with being a “Type A” personality is that when I do something I go ALL IN. So when I decided to start casually couponing along with some coworkers it quickly tuned into an obsession complete with multiple Sunday paper deliveries, obsessive coupon printing and a massive coupon binder complete with different tabs. It wasn’t until I yelled at my husband for buying ketchup since it wasn’t on sale and he didn’t use the coupons I had at home that I realized it was time for me to quit cold turkey. I still laugh at his response, “But we needed ketchup.” I love that man. 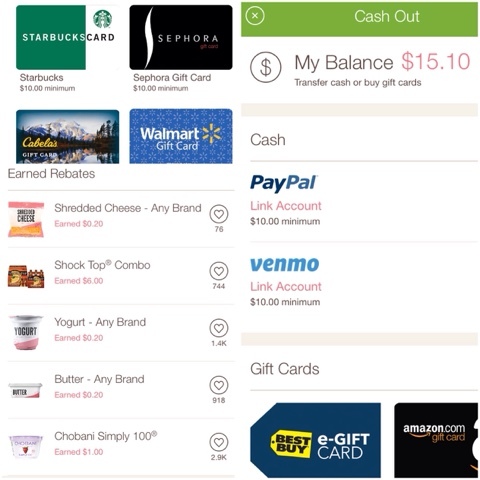 Cartwheel: If you don’t have the cartwheel by Target app you are seriously missing out. There are tons of new deals every week and starting November 1st through December 24th they do a new toy deal every day. (50% off a really popular toy, for that day only) You add the offers you are interested in and your cashier simply scans your barcode during checkout and the discounts come right off! It is THAT easy. No printing, no cutting. Boom. I am a master of Cartwheel. 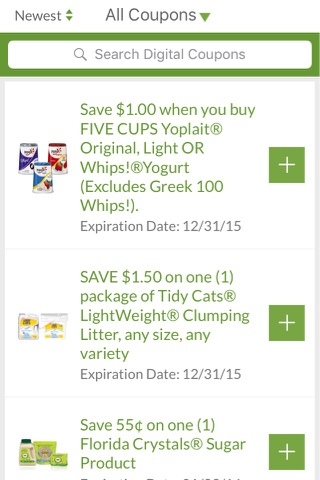 Walmart Savings Catcher: If you get the Walmart app there is a savings catcher feature. Every time you go to walmart you just scan your receipt into the app. It will check your purchases against current competitors deals in a 50 mile radius! It then gives you back the difference in the form of a gift card. You do NOTHING! I have a SLIGHT Ibotta obsession. Publix: I know not everyone has Publix where they live, and for that I am very sorry. I love Publix so much and now I am obsessed with their app. I started using it since I can order Publix subs or deli meats before I go to the store. I just set a time and they are already cut and waiting for me in a little refregirated section with my name on it. NO more deli line! I was searching around and realized the app also has digital coupons… with all the same coupons you see in the paper. All I have to do is add the coupons to my account, then when I checkout I just type in my phone number and the coupons are automatically applied and taken off my bill!! No printing, I don’t even have to show the cashier my coupons or anything. Amazing. Coupons without clipping? Yes, please! There you go. 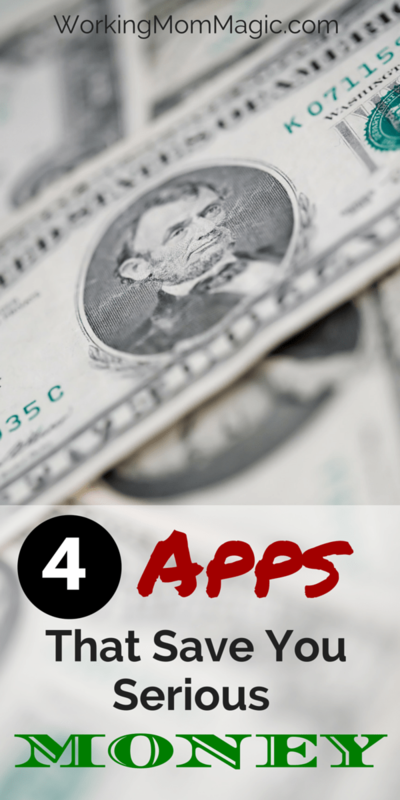 4 apps that will save you serious money with little to no effort. I know there are a ton of money back apps out there… so if I am missing a good one, please tell me what it is in the comment section! Sadly, no Publix here in Boston. I had downloaded the Ibotta app a couple years ago and for whatever reason never got into it and ended up deleting it. I may have to give it a go again! I had heard so much about it, and just never downloaded it. It is really, REALLY easy to use and get some extra money! Woah! Those are great apps! I can already feel myself saving money! Great share. We don't have a Publix:( but I will have to check out Ibotta, and I LOVE cartwheel! You will also love Ibotta! SO easy to get some extra money! So cool! I've heard so much of Cartwheel but haven't actually tried it – guess now's the time to check it out with all the upcoming shopping!! Def check it out, they have already started the 50% off a different toy each day! I use all of these apps (no Publix here but we have Giant eagle…similar I think). You also need to check out SavingStar and Checkout 51. I don't same nearly as much on those apps, but it is still worth it to use them because 20 cents adds up and they don't take your money after a certain amount of time so you can just let it add up. Ohhh I will go check them out! Thank you for sharing! I agree, the little savings add up quick, esp for items you buy all the time anyway! I've used the Cartwheel app a few times. I use the search function to look for products that I want to buy – like organic for instance. I've tried Ibotta but didn't see enough products that I buy to make it worth following. Yes a lot of the Ibotta stuff isnt for me, but I've found they have lots of produce (that isnt brand specific) on there and even some organic stuff. 🙂 I hope you have a wonderful week! I used to be a coupon a holic…then realized I was wasting wayyyy too much money on ink! I am definitely cartwheel (and Target) obsessed!! Great list 🙂 I need to try IBotta! You will LOVE it! I am kicking myself for waiting so long! I have been wondering about Ibotta! I have been really hesitant to try it because nobody I knew said it worked but now I have a good reference! I'll have to give it another go. And you know I have Cartwheel. Target. All day. Every. Day. I have ibotta! I also do the whole Walmart price check thing! I'm shocked at how many items I buy that aren't necessarily the cheapest at Walmart. You would just assume since its Walmart that everything would be the cheapest it can be. I know! The last time I got like 6 bucks back! I was so impressed! I love love love Cartwheel – it's why I roam around Target with my nose stuck on my phone, trying to find the best deals 😉 I've never heard of Ibotta, but oh my goodness! I so need to check it out! It's like Cartwheel for anywhere! These are great! Couponing in Canada is essentially, we get flyers from grocery stores, but said stores scan their flyers when you checkout anyways so you don't need to really cut anything out. I have to check out some of these apps though! These are great Lauren thanks for sharing! I used to be obsessed with the coupon thing too, but gave it up…so these apps are another great way to save! Yes it can get addictive, but these apps help me save money while keeping my obsession in check! ha! Too bad these won't work in Canada! Checkout 51 does though and I've received a check for $25! Pretty cool! Great Post! I found you on GYB on FB. Let me know if you'd ever like to collaborate on anything. Oh no! They wont? that stinks! thanks for stopping by and I hope you are having a great week! These are sooooo awesome! I'm going so o download the Target and WalMart ones now! Thanks for sharing! I need a few of these apps. Thanks for sharing. We don't have Publix here but, that Walmart app is something we need, like yesterday! How did I not know about the Target app??? 1) I am so glad you live where there are Publix. 2) I did not know the Cartwheel app existed and feel like a TERRIBLE Target fan. Downloading now! I am also a huge fan of Winn Dixie's fuel perks and their app for the same reason as Publix. Their app lets you clip coupons and it gets loaded onto their rewards card plus with every $50 you spend, you receive $.05 off per gallon of gas. I usually rack up somewhere between $.30-$.40 off a gallon just from shopping there every 2 weeks. Great finds! I want to try Ibotta now!